Berry Buffs for Platinum 4" x 40 Ply x 3 Rows Stitched | QTE North America, Inc. | QTE North America, Inc. These stiff chemically-treated muslin berry buffs have good cutting action and high compound retention making them the best buffs available for the final polishing of platinum. They provide a high luster while reducing polishing time. Use these buffs exclusively for platinum; their berry color makes it easy to keep them separate from your other buffs. 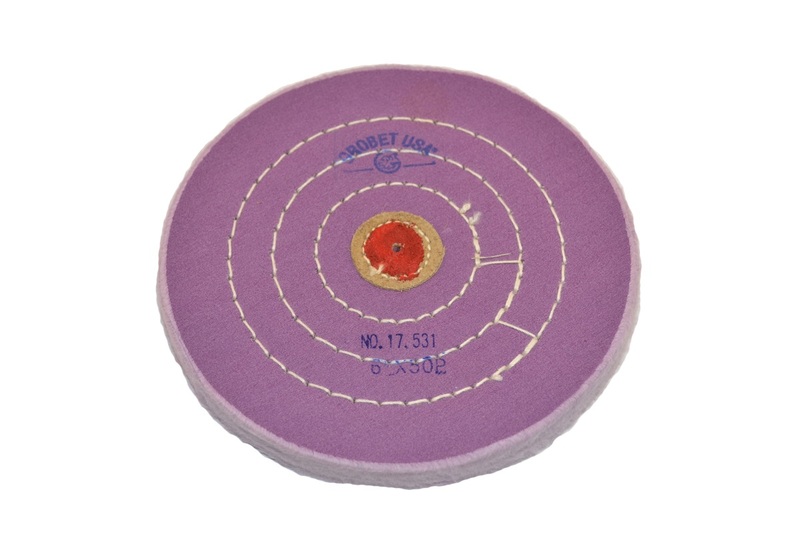 Use knife edge buffs for working into crevices, nooks and crannies.